Living in a busy household, it sometimes can get a bit stenchy in here. We have kids, we have dogs and we have strange smells. We are always on the lookout for new ways to clean the air up, make the air smell good and also maybe something to give the home a new little decor. Canadians spend 90% of the time indoors which can make for some seriously stale and unhealthy air if you think about it. The average family spends close to $400 annually buying products to try and change the air in their homes, only half the time these products only mask the smell. I have one favourite fabric and air spray we always use but sometimes its nice to have a change. Lampe Berger Paris reached out to us to try out one of their elegant lamps. 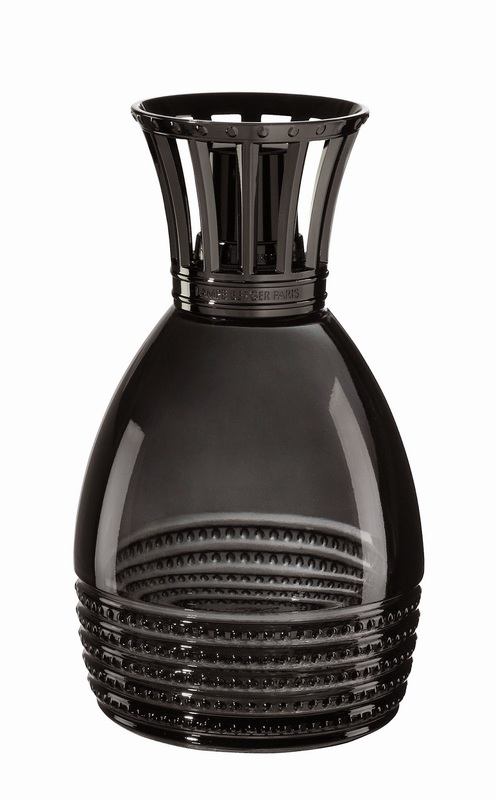 Lampe Berger Paris is an unrivaled purifying and fragrance system all wraped up in a beautiful and stylish lamp. How it works is by heat conducted by the catalytic burner neutrializes odourous molecules in the air and prevents recombination of these molecules so that smells virtually disapear. The burner dispenses the exclusive home fragrance while the lower temperature of the defuser allows it to preserve its essence. Lampe Berger technology guarantees an improvement of overall air quality in your home. Its really easy to start changing the air in your home. First you fill your lamp 2/3 full with your favourite fragrance, insert the burner and replace the stopper. Let the wick soak for about 20 minutes and remove the stopper. Light the wick and wait 2 minutes before gently blowing out the flame. The burner difuses little by little and transforms the air with the aroma of the fragrance. 20 minutes (1 min per square meter) and you have created the perfect atmosphere in your home. With one lamp you get up to 140 hours of difusion (7 500ml bottles of fragrance) or one year of use depending on how often you use it before you have to change the burner. Lampe Berger Paris offers a variety of different lamp styles with exclusive home fragrances to suit any style home. We were sent the Pomme gift set with a 500ml bottle of fragrance to use with it. The Pomme gift set comes with the "round essentielle" lamp; dressed in holiday colours red or frosted white, we received the red one. It's a functional, decorative way to perfume our home with Lampe Berger's Perfume de maison, "Fresh Linens". Check out my mini tutorial below! The very first time you light your Lampe Berger the flame will be pretty big but it does go down quickly. Once you blow out the flame you can immediately start smelling the fragrance. I placed ours in the basement where I usually do all my blog work and within 20 minutes the fragrance went through the vents and our entire house smelled like it! Amazing! Just be sure to never leave the cap off or leave it around tiny hands, the burner gets very hot. I didn't burn myself or anything but just a warning to be careful. Other lamps that Lampe Berger Paris offer include the Chic gift set Perle with a limited edition fragrance like "Snowy Pines", "Provence Treats" and "Savoury Apple Tart". The fragrances all sound so yummy! Lampe Berger Paris gift sets cost between $50 and $120 depending which style and size bottle of fragrance you choose. A 180ml bottle of fragrance goes for around $24 Canadian. There are so many different styles and colours to choose from, I can see these becoming addictive to both collect and gift to loved ones. Hey, the holidays are only a few short months away, you can never be too prepared! Check out the whole Lampe Berger Paris product line by visiting the website www.lampeberger.ca! Available across the country, you can use the online store locator on the Lampe Berger website to find a store in your city! Show some love and LIKE the Lample Berger Paris (Canada) facebook page and follow along the special hashtag #Lampeberger to chat all things Lampe Berger Paris! Posted on behalf of Lampe Berger Paris. Complimentary product received for review purposes. Comments and opinions on this blog are those of the author. I love Lampe Berger. They make your home smell so nice. I like that there are so many scents available. 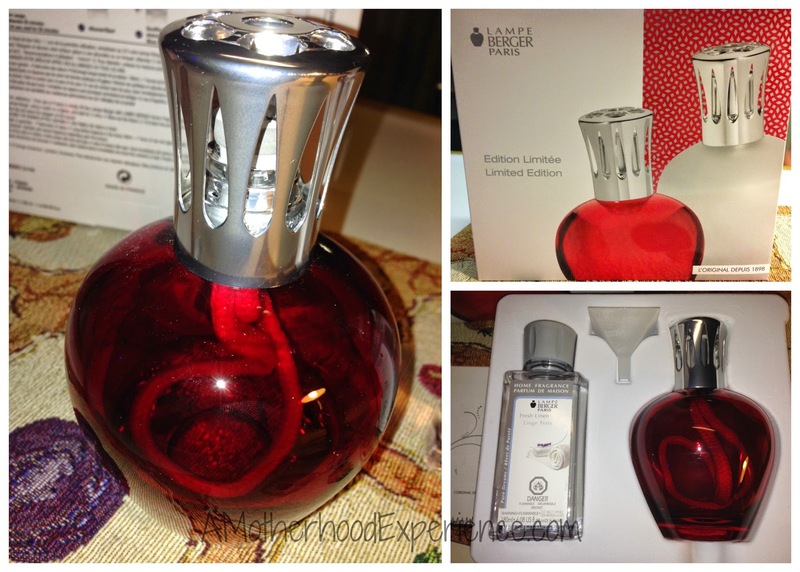 I plan on purchasing a Lampe Berger for my mom's Christmas gift this year, now I just have to decide what style to get her! Mmm this sounds heavenly! I can imagine reading my lamp light, drifting off to sweet scent..